Did you know just how capable the Bookassist Booking Engine really is? If your hotel is already a client, you still may not be using all of the capabilities fully so it’s a good opportunity to review what we can bring to your direct booking business and what continues to make Bookassist unique. This is a highly-optimised touch-screen app which works in portrait or landscape mode for iPad. 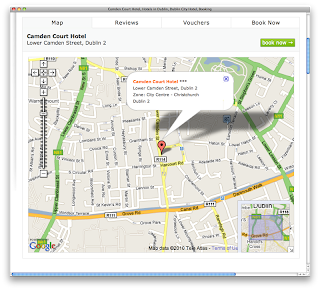 Automatically served to your hotel customers when they visit your hotel website on iPad. Of course the customer always has the option of viewing the full hotel website instead by tapping the exit icon (shown here) on the screen at any time, just as in the iPhone/Android webapp. As a live example, while on your iPad, visit m.moranhotels.com. 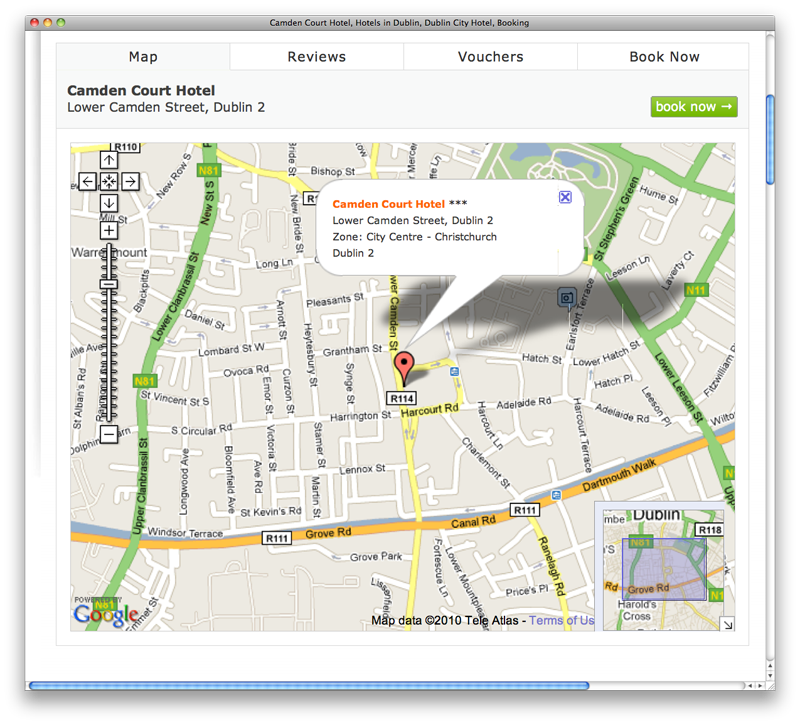 Our booking technology is better than ever! Hot on the heels of our World Travel Awards 2012 win and 2013 nomination, we won the EyeForTravel Mobile Innovation Award for our Mobile Webapp. Here is the 5 minute pitch that convinced the judges. Our team are Google Adwords certified AND Google Analytics qualified. We are not only PCI compliant but we are registered Visa merchants. We take your business very seriously and work very hard to protect it. We don’t just advise on direct business, we also integrate with Meta Search providers to automatically manage hotels information straight from the booking engine admin system delivering more direct business and higher margins for our hotels. We don’t just bring you local expertise we bring you global expertise. Our international market intelligence helps us to make our booking technology and our online strategy advice second to none. Bookassist - for those who won’t settle for second best. 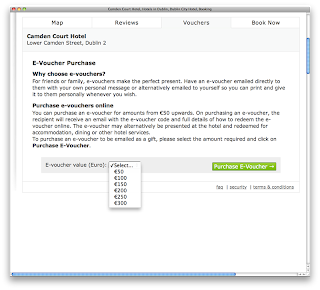 What if your Booking Engine was hacked? Cybercrime - It could happen to you! Cybercrime is a reality and no company is completely immune. But you can and must take steps to protect your hotel and your customers from a security breach. With the rise of online payments and the increasing technical ability of cyber criminals, your data needs to be much better protected or you risk destroying your business. The highly-publicised recent data breach at Loyaltybuild, estimated to be the largest data breach in Europe within the last three years, emphasises the importance of taking action to ensure the protection of your business and your hotel brand against such a data breach. Loyaltybuild operates reward schemes for companies across Europe, including well known brands in the Irish market such as SuperValu, Axa, StenaLine and Electric Ireland. In October 2013, personal and credit card data processed by Loyaltybuild on behalf of a number of companies was compromised and a number of investigations are ongoing into the matter by the Data Protection Commissioner in Ireland and the Garda Bureau of Fraud Investigation. Breaches of this nature have the potential to have major implications for all companies and brands to whom Loyaltybuild provided services. Given the serious damage a data breach of your booking engine data could do to your business, we have compiled the following FAQ to help you put in place the best protection for your hotel. 1. I don’t need to worry because our booking engine provider processes bookings for us, so it’s their problem if there is a data breach, right? Whilst a data breach would cause serious problems for your booking engine provider it would also have a huge negative impact on your hotel brand. Just as brands associated with Loyaltybuild are currently suffering from a crisis of customer confidence, you would be similarly affected through association with your booking engine provider. You need to protect your reputation by making sure that your most valuable asset - your customer - and their data is fully protected whether you or your suppliers are handling that data. 2. What can our hotel do to reduce the risk of a data breach of our booking engine? First and foremost, you must ensure that the provider you work with is PCI DSS compliant. PCI DSS (Payment Card Industry Data Security Standard) compliance gives you the peace of mind that your suppliers know what they are doing and that your customers’ data is being stored securely by that third party in accordance with certified best practice. 3. What is PCI DSS? The aim of PCI DSS (Payment Card Industry Data Security Standards) is to set standards that assist in the prevention of fraud. Being PCI DSS compliant does not mean that you won’t have a data breach but it does mean that in the event of a data breach arising, the credit card companies will support you. Working with PCI DSS compliant suppliers is like having an insurance policy that helps you when things go wrong. 4. How do I find out if my current booking engine provider is PCI DSS compliant? Simply ask them for their PCI DSS statement of compliance. 5. My booking engine provider does not have a certificate of PCI DSS compliance so what effect would it have on my hotel if they experienced a data breach? There would be serious implications for your provider as they would be offered little protection from the credit card companies for failing to comply to acceptable standards. 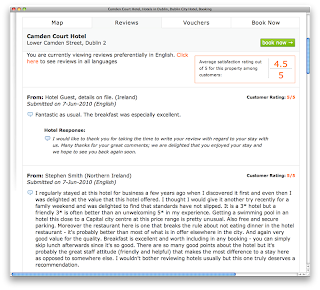 Your hotel brand would experience significant damage as irate and unhappy customers, who had placed their trust in your brand express their anger. It is your responsibility to exercise due diligence to ensure that the partners you work with protect you and your customers. There may also be implications for your costs in processing credit cards with the main providers, or hefty fines from them, that could compromise your ability to do business. Your single most important asset is your customer. You need to ensure that your hotel and the third parties that you contract with protect your customer’s data to the highest level. You can reduce the risk to your hotel by ensuring that your Booking Engine Provider provides you with evidence of PCI DSS compliance and adheres to the standards. There’s always been a strong discussion about whether responsive is really fit for purpose for hotels’ web and mobile presence, or whether a separate mobile-focused webapp and desktop/tablet website is better. A strong advantage of responsive sites is that the content is largely the same and managed in one place, it’s just adjusted physically to match different screen sizes or devices. 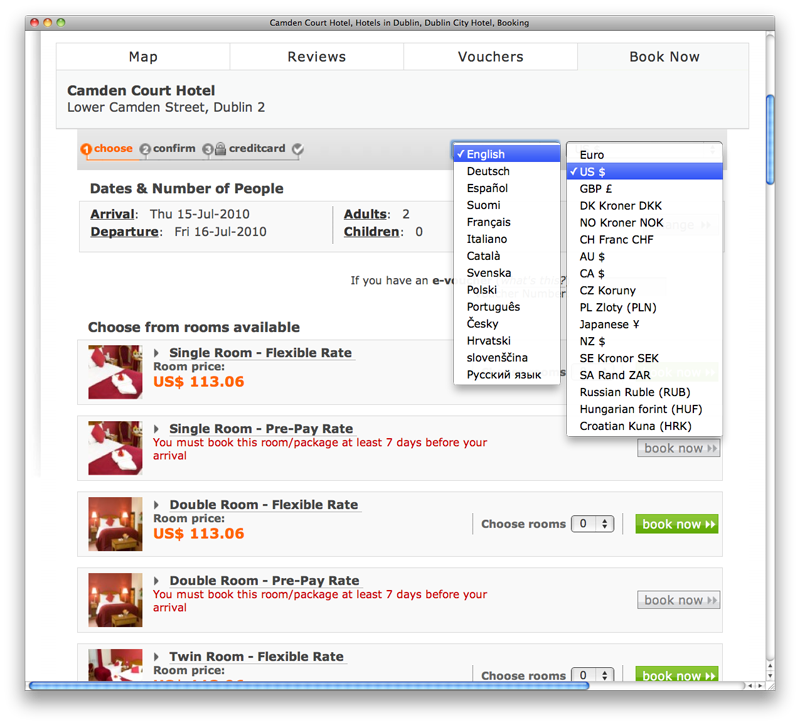 This makes it easier to deal with for the hotel, and ensures a consistent image and brand projection across devices for the user and prospective customer. However, such an approach does not always take account of differences in user requirements and behaviour across different platforms. A strong advantage of webapps is that they are not tied to the structure, content or philosophy of the desktop website, and can focus much better on the mobile users’ specific needs. Webapps represent a good mobile-first strategy compared to a catch-all responsive strategy. Or certainly that was the case. Responsive typically takes the same basic elements and alters their presentation or priority for different screen sizes or devices. Analysis showed that pages with large amounts of text were simply being ignored or quickly exited by mobile users. Their demands were quite specific and short term. We built (and build) our mobile approach based on analysing the user, not based on what we “thought” would be the best solution. As we approach mid-2014, our webapp solution (soon to be upgraded to WebApp V3) and the philosophy behind it continues to evolve to match mobile users’ needs. Our user research continues to track strong changes in mobile user behaviour. Mobile bookings for our hotels through their webapp platform continue to grow steadily, as shown below. But we have noticed very interesting trends and changes in mobile user behaviour. The Mobile User Is Different? Firstly, the mobile platform itself is evolving very quickly. You don’t need statistics to understand this - it’s clear to everyone that in the past 3 or 4 years, the market penetration of smartphones has been enormous. Screen size continues to grow, with Apple’s flagship iPhone 5s and iPhone 5c now among the smallest screen size in the top sellers (the upcoming iPhone 6 expected to address that issue). Screen quality and pixel density have both improved, meaning that more of the web is visible with clarity on a smartphone screen without scrolling. All of these physical device changes (see Appendix 1 below) mean that you undoubtedly find it increasingly easier and more comfortable to browse and work on your smartphone. As a result, user patterns on mobile and desktop are beginning to quickly converge and they do not show the kind of differences in behaviour that we saw just 2 or 3 years ago. Increasingly, catering for a different user behaviour (as distinct from screen size) across devices may now be less relevant than it was before. Secondly, smartphones are no longer new-fangled devices. Now, they’re normal, they’re everyday. People have grown used to them very quickly, and as a result people are using them more and more as everyday web access devices. Accordingly, the patterns of behaviour we are seeing on mobile are less different from desktop than they used to be in previous years. And our analysis of booking trends on mobile shows this evolution in stark terms. From a booking perspective, mobile has always been touted as a strong “last minute” channel, but again here we are seeing a clear shift in mobile user booking towards a more “normal” distribution. The portion of same-day bookings is clearly decreasing on mobile, from close to 30% in 2011 to less than 15% today in our figures. 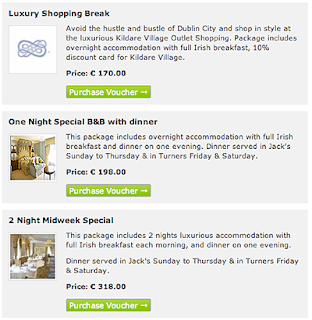 Long lead-in times are also becoming more prevalent, just like the typical desktop booking distribution. People are planning ahead on mobile, and booking ahead, more than ever before. It should be noted that last minute booking was very significantly swayed towards business travellers, and business travellers had a larger share of smartphones in the earlier years. But as the profile of bookers on mobile switches from business-dominant to everyday users, the result is a drop in the last minute portion of bookings on mobile. The trend is quite clear. 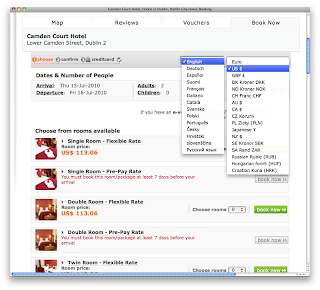 Mobile user behaviour for hotel websites is approaching the norms of desktop user behaviour. The differences in behaviour are reducing as mobile phones evolve and users get more comfortable with their use for everyday online access. 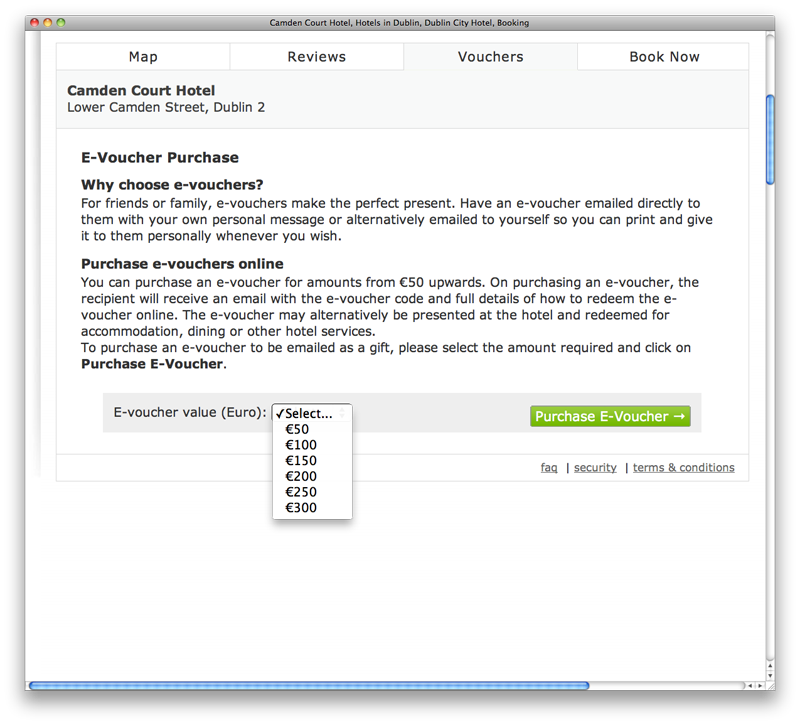 This is probably one reason why last minute mobile booking company Hotel Tonight are now also offering a look ahead service for rates up to 7 days in the future as reported on thenextweb recently - possibly pre-empting the increasing desire of mobile users to plan ahead. All of this of course is good news for responsive design. There will always be a need to ensure that responsive design takes note of the different requirements of users on each platform, not just the layout of information. But the data here does clearly show that those behavioural differences are rapidly diminishing to the point where they are very manageable with a single, well thought-out responsive solution across all devices. At Bookassist, our Web Design team now designs all websites for hotel clients on a smart responsive basis, while ensuring that key processes such as booking are genuinely optimised for the smaller screens and other limitations on mobile. This fuses the best of our knowledge on responsive design with our knowledge and experience of hundreds of hotels using our webapp platform. 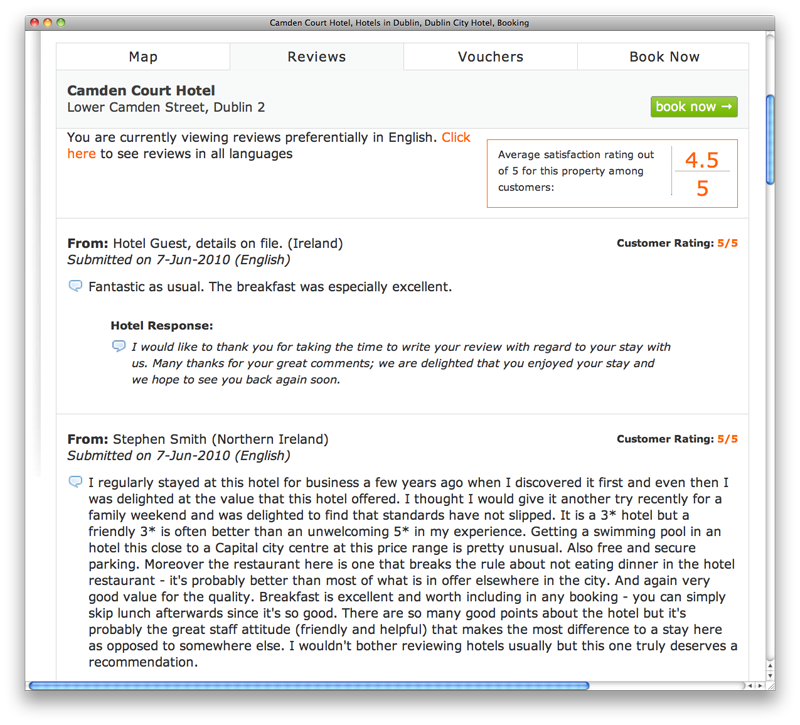 We continue to offer a strong dedicated and ever-evolving webapp solution for hotels who wish to retain their non-responsive website designs but need a proven, effective and award-winning mobile browsing and booking solution. The following two figures illustrate the rapid change in screen size that has accompanied the growth in mobile phone usage online. From 2010 to 2013, mobile phones’ diagonal screen size has shot up by 38%, giving a far more useable area for the mobile user. More importantly, if you look specifically at browsing, the average screen size being used on mobile web has also grown in that period. So the devices themselves are growing, and browsing is increasingly making use of those larger screens. Growth in average diagonal screen size (inches) on shipped devices to end 2013, from NPD Display Search. Growth in average screen size (square inches) used on mobile web to mid 2013, adapted from 51Degrees. The screen size issue is not the full story, as screen resolution has also seen a stark change, allowing more of a web page to be made visible on the same notional screen size, as illustrated below. While standard desktop monitors traditionally ranged 72ppi (pixels per inch) to 96ppi (and that is also changing with Apple’s Retina displays on its MacBook Pro line and the recent introduction of 4k monitors), mobile devices pack far more pixels into each inch than typical desktop displays do, and can therefore display much more on the same real estate. Mobile ppi figures on the popular smartphones are now in excess of 4 times the density of traditional desktop monitors, essentially cramming more of the visible web onto your screen. All of these physical device changes mean that it is increasingly easier and more comfortable to browse and work on smartphones, and so user patterns on mobile and desktop are beginning to quickly converge. Screen pixels and pixel density in the top smartphones as of March 2014, adapted from Gizmag.